Discussion in 'The Sports section' started by KUCIAR666, Sep 22, 2017. The free practice of Friday of the Movistar de Aragón has not brought particular indication in view of tomorrow's qualifying. Both FP1 and FP2 have been affected from a light rain that did not allow riders to express themselves at the maximum in wet conditions. Scott Redding and Danilo Petrucci ended in 16° and 19° position respectively in front of Maverick Vinales and Valentino Rossi. However, the feeling for the qualifying remains optimistic, especially because of the good weather forecast expected for tomorrow. 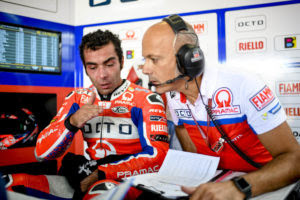 For Petrux there are also positive indications from the top speed. The Italian rider has been the fastest on track in the morning (327.4 km/h) and the second fastest in the afternoon (327.9 km/h). “A very strange situation today. I started with the tires of this morning and I did good laps that permitted me to be also in first position. Then, when the track began to get dry pushing was too risky. If I have to be honest, I am not worried for tomorrow. I think that there will be a good battle in the FP3”. “It is hard to comment on this first day since the conditions of the circuit did not allow us to push at the maximum with the wet tires. At the end of the FP2 the track was getting dry, However, the slick would have been too risky. Tomorrow will probably be dry so we’ll see what will happen”. Maverick Viñales and Valentino Rossi were back in the Movistar Yamaha MotoGP box today for the first two free practice sessions ahead of Sunday's Gran Premio Movistar de Aragón, but it wasn't all smooth sailing. A search for a good set-up at the wet MotorLand Aragón track was the main challenge for the riders, who secured 17th and 20th place respectively. Viñales was eager to make strides in his championship quest at the start of this weekend, but sudden rain at the beginning of FP1 spoiled his plans. After a quick dry-to-wet set-up change, the Spaniard was cautious not to take unnecessary risks, as the weather forecast for the remainder of the weekend is 'dry'. He set a fastest lap of 2'04.098s to finish the 45-minute session in 20th place, 2.855s from the front. As the rain persisted in the afternoon, the local hero was determined to step up his pace by trying a new wet weather setting, but wheelspin kept him from threatening the top of the charts. He continued to work on the adjustment of the set-up throughout the session. His last run moved him up to 17th place in the final minute, when he dropped a 2'01.632s, securing 17th place, both in the FP2 and the combined results, with a 1.774s gap to first. Teammate Rossi made his highly-anticipated comeback to MotoGP racing this morning after 21 days of recovery since sustaining a leg injury. He started the FP1 session with the goal of getting a good feeling aboard the YZR-M1 again. After a brief period of familiarisation, he made his first steps forward whilst working on his bike's setting and clocked a 2'04.066s for 18th, 2.823s from the top of the timesheets. The rain continued to add slipperiness as an extra challenge, but the Italian kept focused on perfecting his bike's set-up. He impressed with some red sectors throughout the session and improved on his morning time by more than two seconds, when he set a 2'01.917s, 2.059s from first. He wrapped up the first day in Spain in 20th place in the combined timesheets. "It was very complicated. We were trying a new set-up for the wet, but unfortunately we didn't find a way to improve. We're having so much spin, the bike is not riding well, so we have many problems to set a good lap time. Luckily, it will be dry and we know we will have a strong package for those conditions. We are going to try to improve on the wet. We are trying and trying, but sometimes it gets difficult. We didn't improve compared to Misano, we took some steps back whilst trying to improve, but we're going to keep trying to do our best." "I'm quite happy, because I feel comfortable on the bike. I was good already from this morning and also because the leg, after two practice sessions, is in a good condition, I don't feel a lot of pain. For sure on the wet it's a bit easier, because it's less demanding to ride the bike, but I hope we will have better weather conditions tomorrow and on Sunday, in order to try to understand my level on the dry and also so we can work on the setting and the tyres." "It has been a challenging start to the weekend for us. We suffered a lot due to a lack of grip. After Misano, we were not expecting to face this setback. Both Maverick and Valentino didn't get a good feeling on the bike and were experiencing a lot of spin, which caused a loss in power and prevented them from riding the way they wanted to. We didn't know what to expect from Vale on this first day of riding, but the wet conditions gave him a smooth transition coming back from injury. Today's goal was for him to get familiarised with the bike again. However, we are expecting dry conditions tomorrow and only then will we truly know where he stands." "I am pretty happy about the opening day in Aragon. For me, it was good to do my first laps on a MotoGP bike here whilst it was wet. When it's like this, I can take more time and I don't need to stress too much. This is because when you have to push from the first lap onwards in the dry, it is quite difficult and then you can get a bit tired by Sunday. Therefore, I'm pleased that it was wet today and also, the feeling was positive. In Misano, I didn't have a lot of confidence in the rain because of the asphalt. Yet, the track is good here and I was able to manage well and improve lap after lap. Even this afternoon, I lost some positions but I kept calm, waited and then pushed at the end of the session. Now, I am ready for tomorrow." "It was a tricky first day because the weather made things difficult. In the second practice, the track was soaked at the beginning, but then it cleared. So it was not easy to use a wet setting as the circuit was drying at the same time, and then we had to readjust the setup for the dry. For me as a rider, it was not easy to adapt to these conditions. In addition, we didn't take a lot of risks today, but we tried to work on our wet setting and the main target was to improve, especially in the rain. In the end, we are further back than we would like to be, however, it looks like the weather will be better tomorrow and on Sunday, so we will attack in FP3 and then get closer to the front." 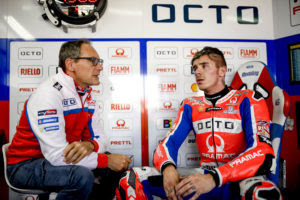 It was a difficult Saturday for Octo Pramac Racing at Motorland of Aragon. 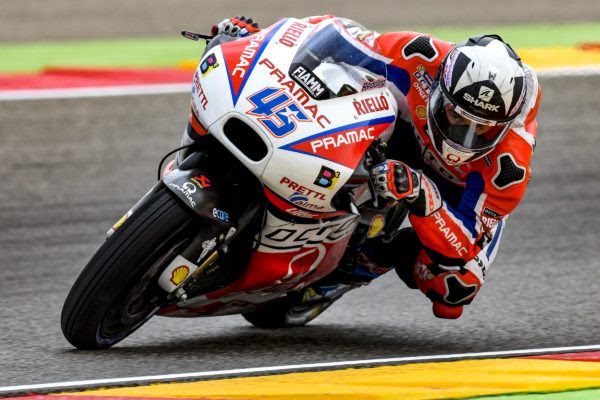 Danilo Petrucci and Scott Redding couldn’t be competitive in Q1 and will start tomorrow in P16 and P22 respectively. 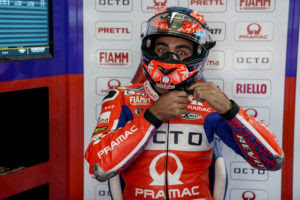 Petrux had grip problems at the rear already from FP3, and for this reason he was not able to find confidence before Q1. During the time attacks in the qualifying, the Italian rider couldn’t find the ideal conditions in order to push and conquer the Q2. On the other hand, also Scott had a FP3 below the expectations. During the FP4 however, the English rider was lapping consistently and this could allow him to have a strong comeback tomorrow, in view of a bad Q1 ended in P22. "I did not expect such a difficult day. I don’t have any confidence with the front in the fast corners and the grip at the rear is a problem. Starting from behind will be hard tomorrow, for this reason I think that ending in top 10 will be a good result". "Qualifying went badly. This was my worst qualify but if I have to be honest I still have confidence for the race. In FP4 the pace was really good. I think I can do a good comeback tomorrow". The Movistar Yamaha MotoGP Team completely turned its fortunes around on the second day at the MotorLand Aragón circuit. Maverick Viñales delivered the goods exactly when it mattered, securing pole position for the second time in a row. Valentino Rossi gave a staggering performance and rode his bike to a brilliant third place, while still recovering from his leg injury. Following a strong closing stage to FP4, where Viñales secured first place, the Spaniard was in a good mindset to fire his YZR-M1 over the Spanish track during the 15-minute shoot-out. He was the second to last man out of the gates in Q2 and found some clear space when he appeared on track. He only needed a little bit of time to get up to speed, setting the provisional second fastest time on his second try, before heading back to pit lane to get a fresh set of tyres, with more than six and a half minutes on the clock. Once back on the track, he was in the zone. The youngster, who was riding with a new design helmet to celebrate his home GP this weekend, put his head down again and posted a 1'47.635s to take over the top spot from his teammate, with 1m40s still on the clock. He had time for one more attempt, but his previous lap remained unbeaten, earning him his fifth pole of the season so far, with a 0.100s-advantage over his closest rival. Rossi rode a superb FP3 session, securing tenth place, to promote directly to Q2 just 23 days after breaking his right leg. In the qualifying session the Italian steadily build up speed over his two first tries, but was unable to breach into the low 1'48s just yet. He held tenth place as he headed to the box, with slightly more than seven minutes to go. A little while later, the Doctor was back in action and immediately dropped an impressive 1'47.815s for provisional pole, but was soon pushed down the order as various riders completed their last attempt. Rossi ended the day in third position, just 0.180s behind his teammate in first place. "The conditions were a little bit more difficult compared to this morning, to make a good lap, but anyway the team did a great job so I'm really happy. Every time we're doing better qualifications and we're more consistent on the bike. I hope we can keep these good feelings, especially before the race tomorrow. We have been improving a lot since the Misano test. The dry bike has good potential and rides well all the time, but we have to improve in the rain, so we're keeping that in mind, in order to be consistent. Honestly, it's incredible what Valentino did today, I have no words. He always delivers great results and it's positive that Valentino is also fast, because we can see things on the bike and compare the data for tomorrow." "I think we did a great job after sustaining the injury. I have to thank all the people that helped me, starting with the doctor that did the surgery. After that I worked very hard every day with my trainer and the leg is becoming better every day. Sincerely, on the bike I feel some pain, but I can ride quite comfortably, so I'm very happy. It's very important to start from the front row and now we have to understand the pace and also if I'm able to push until the end, but anyway I'm happy." "After a difficult first day, today's results are superb for the entire team. The crew worked really hard, as we had little time to prepare ourselves for a dry Q2 session, and they got the job done. Maverick knew he had the pace and speed with his bike and his 1'47.635s pole position lap shows just how comfortable he is. He knew exactly what he had to do and delivered, securing his second pole in a row. The whole team also applauds Valentino for his incredible performance. We know from experience that he can make the impossible possible, and he proved it again today. Not only did he advance straight to Q2, while still recovering, but he also secured a brilliant third place after briefly holding the P1 spot. All-in-all it's been a very rewarding day for the team. We hope to keep this momentum going for tomorrow in the warm up as we prepare for the race. We still have some information missing, mainly on the tyre specification and durability. The warm up will be fundamental to get a better understanding before we make decisions for the race." Johann Zarco will confidently begin the 14th round of the MotoGP World Championship from the 4th row of the grid. The French star endured a challenging morning and went through to Q1, but here, he produced a strong lap time that allowed him to progress into qualifying 2. Zarco carried on his hard work and eventually finished the shootout in 11th yet only 0.587 adrift of the front row. Meanwhile, Jonas Folger made a heroic effort to qualify in 18th for tomorrow's race. The young German suffered misfortune this morning whereby he fell heavily in FP3. He was taken to the local hospital and checked for neck injuries but was deemed fit to ride. Folger bounced back by finishing FP4 in 5th, and then went on to complete Q1 in 18th. "I gave everything that I could which was a 1'48.3 lap time in Q1 and I wasn't able to improve on it in Qualifying 2. It's difficult when you do your best and end up in 11th but I am still optimistic for the race. After the crash this morning, my confidence was not at its highest. Yet, in FP4 I felt much better because we changed the bike and my feeling really improved. We did a solid job to get through to Q2 but I think we reached our limit in the first qualifying shootout. This is because you need to do a good lap time with the extra grip on the new tyre and we couldn't use it well enough which is why it was complicated. However, from what we know already, it looks like I have fewer issues on used tyres compared to the other riders and in this case, the gap is lower. This is important for tomorrow, but after the trouble that we had in FP3, it's good to start from 11th and I will keep this positive thought in my mind." "It has been a difficult weekend for us so far. I had a strange crash at the first corner in FP3 and then in qualifying, I was not able to improve that much like the other riders did. I am 18th on the grid for the race but before then, I am sure that we can find a solution so that I feel better on the bike. Nevertheless, I hope to collect a lot of points tomorrow and I will do my very best like always." Marc Marquez (Repsol Honda Team RC213V) looked like he was on his way to his seventh pole position of the season this afternoon when he slid off in the final minutes of qualifying for tomorrow’s Aragon Grand Prix. The joint World Championship leader fell as he entered the tricky downhill turn 12. He was able to remount but was unable to continue the session and returned to the pits. Nonetheless his best lap was good enough to put him in the middle of the second row, between fellow RC213V riders Cal Crutchlow (LCR Honda RC213V) and Dani Pedrosa (Repsol Honda Team RC213V). Fifth place is Marquez’s lowest grid position since June’s Italian Grand Prix, while Crutchlow’s fourth place is his third consecutive excellent qualifying result, following third and fourth at the last two races. Pedrosa’s sixth place is his best since he qualified third for last month’s Czech GP. Marquez has been on great form since he arrived here, following his breath-taking victory at rain-soaked Misano a fortnight ago. He was fastest in yesterday morning’s rain-affected FP1 session, he topped the first three practice sessions and he completed today’s FP4 outing a very close third fastest behind team-mate Pedrosa and Maverick Vinales (Yamaha), who later went on to take pole. Aragon is the 14th of this year’s 18 races and is sure to be an epic showdown, because every point counts between Marquez and Andrea Dovizioso (Ducati) who share the championship lead, and Vinales, who is 16 points further back. Dovizioso qualified seventh fastest today. Marquez, already a five times World Champion at the age of 24, can make some more milestones tomorrow. 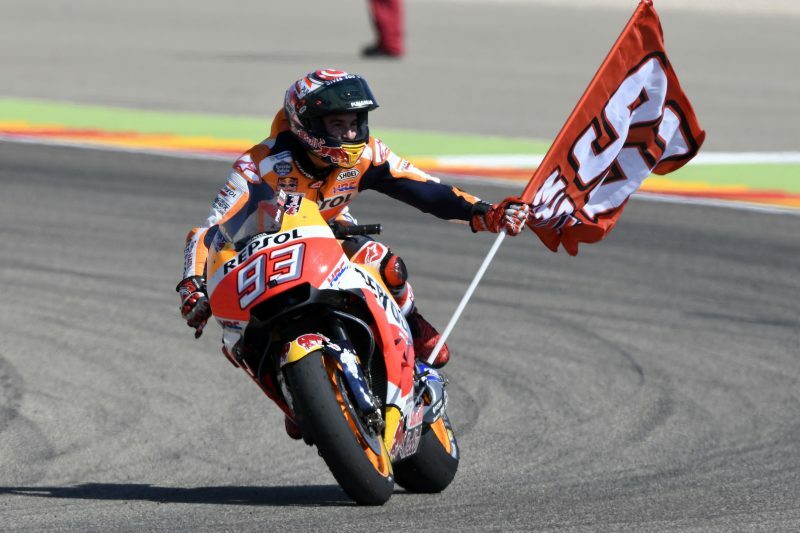 If he wins the race he will take his 60th victory across all three categories and he will also become Honda’s second most successful premier-class rider, overtaking Valentino Rossi, who won 33 500cc and MotoGP victories with Honda between 2000 and 2003. Only Mick Doohan has won more premier-class victories with Honda. The Australian won 54 500cc victories between 1990 and 1998, riding an NSR500. Marquez won the race here last year and in 2013, his historic, title-winning rookie season. Crutchlow was chasing Marquez when the Spaniard fell, but managed to continue his lap and better his time, briefly lifting himself to the first row, until another rider went faster and relegated him to row two, just 0.015 seconds behind Rossi (Yamaha), who is riding despite breaking his right tibia and fibula 23 days ago. 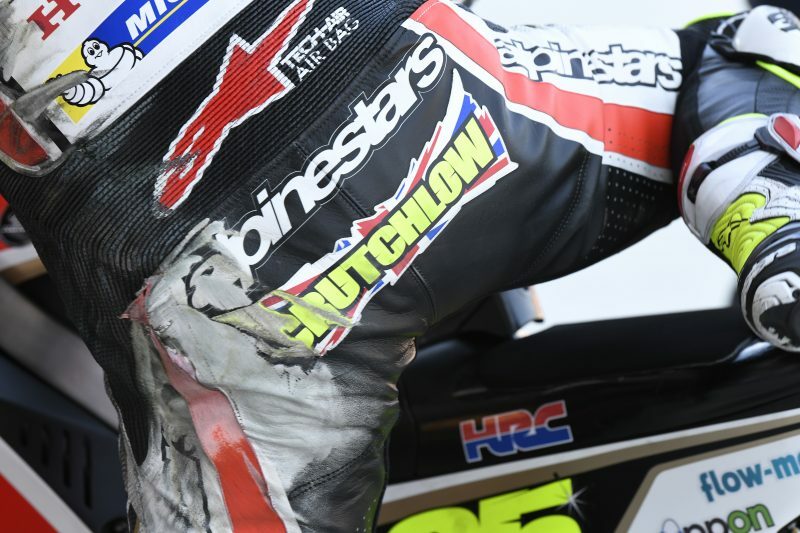 Crutchlow has had some very strong races this year and he knows very well that if he can get away with the leaders then he has a chance of scoring his first podium result since Argentina in April. 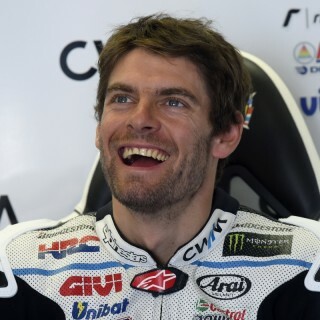 Last month at Silverstone Crutchlow finished just one second outside the top three. Pedrosa was also happy with his second-row start. The 31-year-old former 125cc and 250cc World Champion had a very difficult weekend in the cool, damp conditions at Misano two weeks ago. From yesterday he immediately found a better feeling with the tyres here and was able to push hard in both dry and wet conditions. Indeed he was fastest in the rain-affected FP2 outing. Jack Miller (Estrella Galicia 0,0 Marc VDS Honda RC213V) had a frustrating afternoon. The young Australian rode in the opening Q1 qualifying session and was only nine thousandths of a second outside graduating into the Q2 session. This is a historic weekend for Miller: it’s his 100th Grand Prix start. The former Moto3 race winner made his Grand Prix debut in Germany in July 2011, riding a Honda RS125. 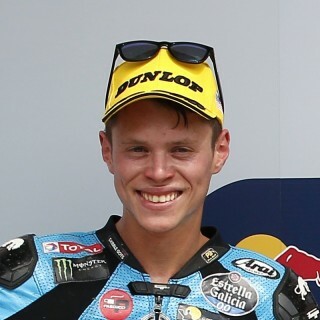 Tito Rabat (Estrella Galicia 0,0 Marc VDS Honda RC213V) will start the race from 21st on the grid, alongside factory Suzuki rider Alex Rins. 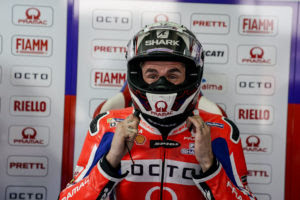 Jorge Lorenzo powered his way to a front row start for the Aragón Grand Prix with the second-quickest time this afternoon in the Q2 qualifying session. This morning the Ducati Team’s rider from Mallorca had to settle for the eleventh-quickest time in the FP3 session, which meant he took part in Q1, but there he went on to top the timesheets. In the second qualifying session Jorge then set a time of 1’47.735 which put him into second place on the grid and a front row start, just a tenth away from the pole time of Viñales. It will be a row 3 start for Andrea Dovizioso, who this morning gained direct access into Q2 with sixth-quickest time in FP3. In qualifying the Italian rider finished seventh with a time of 1’48.137, and he will start tomorrow’s 23-lap Aragón GP from row 3. The weekend of #AragonGP doesn't give any particular satisfaction to the Octo Pramac Racing team. 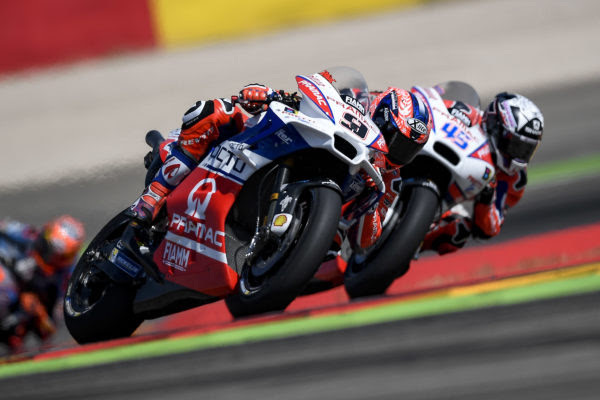 Following the difficult Saturday’s qualifying, Scott Redding and Danilo Petrucci were forced to start from behind and they couldn't find the conditions to finish in the Top 10. Scott's race is positive. The English rider started from P22. From the first laps the race pace is good and allows him to recover 8 positions to end in P14. Danilo's feeling has never been good this weekend, but during the race, an abnormal consumption of the rear tyre does not allow him to be competitive. It's a weekend to forget. I wasn't able to be competitive and I am very sorry for that. During the race I had problems with the rear tyre. My mistake? I do not know. But under normal conditions this is not my position. I can't say I'm satisfied with this weekend. Qualifying went badly but I tried to stay focused and try to catch up. I managed to have a good race pace and this gives me confidence in view of the triple. Movistar Yamaha MotoGP's Maverick Viñales was on the move today at the final stages of the sunny Gran Premio Movistar de Aragón. The Spaniard gradually increased his pace to take fourth place in the last part of the race. Teammate Valentino Rossi, opted for the opposite strategy. The Italian had a superb ride as he threatened to take the lead in the early race laps, just 24 days after sustaining a leg injury, before settling into fifth place, which he held over the line. The youngster was insistent, but Rossi wasn't going to hand over fourth place easily. A close fight between the two Factory Yamahas had the fans on the edge of their seats. With three laps to go, Viñales successfully passed the nine-time World Champion, but the gap to the top-3 was too large for him to close in the final laps. He crossed the finish line in fourth place, 5.256s from first. Rossi had the crowds rooting for him during his first race since his enduro accident. Though he had a difficult launch from his starting position, he held on to his third place going into turn 1. Seeing Jorge Lorenzo trying to take off at the front on the first lap, the Doctor wasn't about to waste any time and responded by passing his teammate a couple of corners later. He set a provisional fastest lap on lap 2 of 1'49.334s as he chased down his rival, and soon closed the gap. Today's results see Viñales remain in third place in the championship with 196 points, 28 from the top of the standings. Despite his brave ride, Rossi dropped one position to fifth in the rankings, with 168 points. In the Constructor Championship, Yamaha is in second place with a 17-point margin to first, while the Movistar Yamaha MotoGP Team must breach a 30-point margin to jump up from second to first in the Team Championship. The Yamaha Factory Racing Team will travel to Asia next, to take part in the Motul Grand Prix of Japan at the Twin Ring Motegi track in three weeks' time, which will be the manufacturer's home race. "The hard tyre was working really badly for us, especially on the first laps, but then it was working quite well at the end. Not so much in terms of grip, but it was improving lap by lap, but anyway it wasn't enough. Folger used the medium tyre and said he had no grip, so it was really difficult to understand which tyre we could use. For other races it was quite clear, because we were able to do many laps on the tyres so we knew which way to go, but here it was very difficult. I tried to use the same tyre as the opponents. Normally Valentino has a good feeling with the tyres and pushes on the hard option. For the next races we will have to work even harder on the Friday. It's important to keep pushing and working and keep our motivation high. We have to work even harder, though it's difficult, and we'll go to Japan to improve and we'll try to be stronger." "I'm quite proud, because a week ago I didn't know if I would be able to race. Achieving a start from the first row yesterday was already great, I was very happy. I knew I had to suffer in the second half of the race. I had some pain and we also suffered from the degradation of the tyre. The work continues after this race. The calendar works out well for me, I have two full weeks to train and improve my leg's condition. After this we have Motegi, which is going to be very important, but we also have three races in a row. This will be very difficult for my leg, so I want to try to arrive in Motegi - maybe not at 100% - but quite fit." "The tyre choice played a big role in the outcome of today's race. We only had limited time to try the different specs on the dry this weekend, so this made the decision quite difficult. Both riders decided to use the hard rear tyre option for durability reasons. Though they managed the tyre life by trying to ride as smoothly as possible, in the end the tyres still dropped. Furthermore, Maverick had difficulties getting heat into the tyre at the beginning. It was unfortunate that, by the time the tyre started working better, the gap had become too big for him to close, but I think we all got a thrill from his fight with Valentino. It is fantastic to see Vale already battling at the front in the race, just 24 days after his accident. He did a truly amazing job today and has consistently exceeded our expectations throughout the weekend. We look forward to seeing him race again in Motegi, when he has had time to further recover from his leg injury." Johann Zarco's strong effort at the gruelling Aragon Grand Prix earned him a 9th place finish today under the scorching Spanish sun. The French star leapt forward from 11th and he immediately set into a formidable and consistent pace. The rookie eventually concluded the race inside the top ten to maintain his position as the leading independent rider in the championship. The result also saw him extend his 100% point scoring record since the opening round. "The result is quite good, however, I expected to be stronger in the race with the used tyres, but eventually my opponents were fast too. I got a solid start yet the first few laps were a bit difficult. I tried my best to overtake but in the end, it was not the right opportunity and I lost a lot of positions because I almost crashed. After that, I got a solid feeling but I was limited by the front. This was not because of the tyre because even if it was a soft front, the technicians said that the rubber looked ok after the race. So it means that if I was limited, it was possible that the bike's balance was not as perfect as I needed it to be to get close to the front. Nevertheless, I am happy about the race and it was another experience, plus good for the championship. I tried to do my best but to finish only 13 seconds back from the top guys is not so far. However, I missed something to stay with this leading group because when they overtook Kallio, they opened a gap and I don't think I was strong enough then. Anyway, I will learn from it and I need to understand how to use this to be more competitive in the future. I want to improve myself so that I can set the bike up and provide the right information, and also be effective with the team so they can give me the fantastic feeling that you can usually have with the Yamaha." "We are all disappointed about the race because I am aiming to stay inside the top ten in the championship and I am fighting against some really fast riders but now we are struggling and finishing in 16th is a shame. I have to get my confidence back and use the two weeks off to rest myself so I can get mentally fresh in order to be better on the bike. We have to look at the championship and I am 14 points ahead of the next rider in the standings, but the target is to get into the top ten. However, I need to be freer when riding just like at the beginning of the year. The issues and the crashes, as well as the points we have lost in the last few rounds, leaves us a bit frustrated and we want to be better. So now I will take it easy because if you try too hard it doesn't work. I'm sure I will come back refreshed and ready for the action." "It was a tough weekend in Aragon but I believe that the Monster Yamaha Tech3 team did a great job. We had rain, fog and heat yet, Johann Zarco did very well as usual. It's not easy for a rookie on this circuit and although he had a crash in FP3, which prevented us from getting into the top ten, he worked really hard for the race in FP4. Johann showed great determination to get into Q2 and despite the fact that the grid position was far from ideal, we knew that he could run a strong rhythm. The start was average and by the end of the first lap he was in 11th, but from that moment, our rider showed remarkable pace and was very consistent. I think every lap was within a second of each other and he was catching a few guys ahead of him before he finished 9th. This was a great reward for the hard work and it consolidates his position as the leading rookie in the championship and also as the top independent rider. Some of his strong rivals didn't score any points today, which was beneficial for us, especially after the huge disappointment at the last round in Italy. In my opinion, at every event, Johann is showing his level, quality, determination and his efforts are paying off, plus he is one of the hardest working people in this paddock. On the other side of the garage, it was a tough weekend for Jonas. Unfortunately, he never felt really good on the bike and the strange crash in FP3 hurt his neck. There was no real damage but it bothered him. Jonas was quite far down the order on the grid and I don't think he had much confidence in the early part of the GP because his pace wasn't as quick as it could be. Let's not forget that he was on the podium in Germany and he set the fastest lap of the race in Sachsenring and Catalunya. The second half was a bit better today but it was still not close to his level. However, the team and I know his potential so let's hope that he has a few days off to rest and then mentally understand what is not working. We need two riders and we know that Jonas can be challenging Johann, which is what we want to see as a team. His crew will do everything that they can to give him the confidence and the feeling back and we are all behind him." Honda duo Marc Marquez (Repsol Honda Team RC213V) and Dani Pedrosa (Repsol Honda Team RC213V) scored a hugely important one-two at Aragon today, moving Marquez 16 points ahead of his main championship rival with four races remaining in the 2017 MotoGP World Championship. Reigning World Champion Marquez was his usual genius self, performing some spectacular overtaking manoeuvres around this challenging, undulating circuit. He finally took the lead at three-quarters distance and steadily built his advantage while Pedrosa recovered superbly from a difficult first part of the race to work his way through from sixth to second, less than a second behind his team-mate. This was the pair’s third one-two of the season, after May’s Spanish Grand Prix and last month’s Czech Grand Prix. 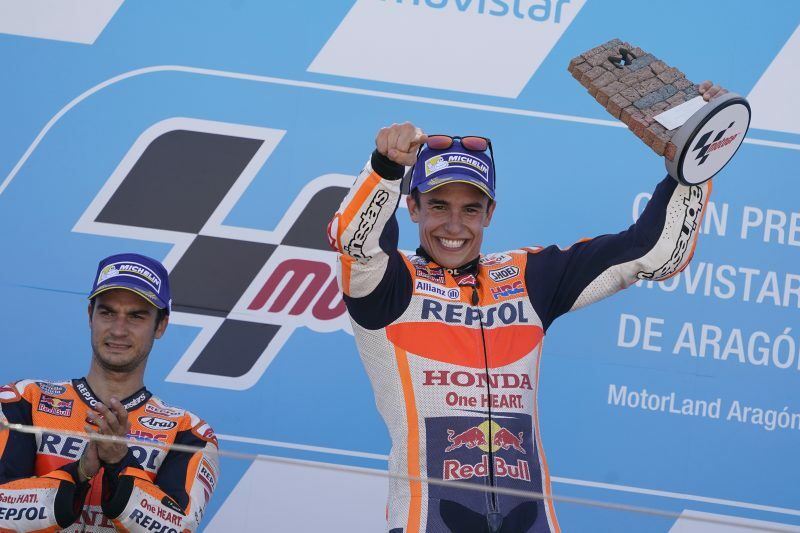 The duo’s performance didn’t only move Marquez clear in the riders championship, it also puts Honda 17 points ahead in the constructors championship and Repsol Honda 30 points ahead in the teams championship. 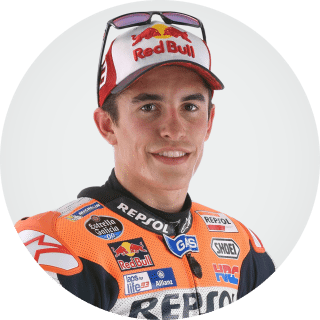 Marquez’s fifth victory of the season was also his 60th across all three classes and makes him Honda’s second most successful premier-class rider, with 34 wins against Mick Doohan’s 54 successes, achieved between 1990 and 1998. 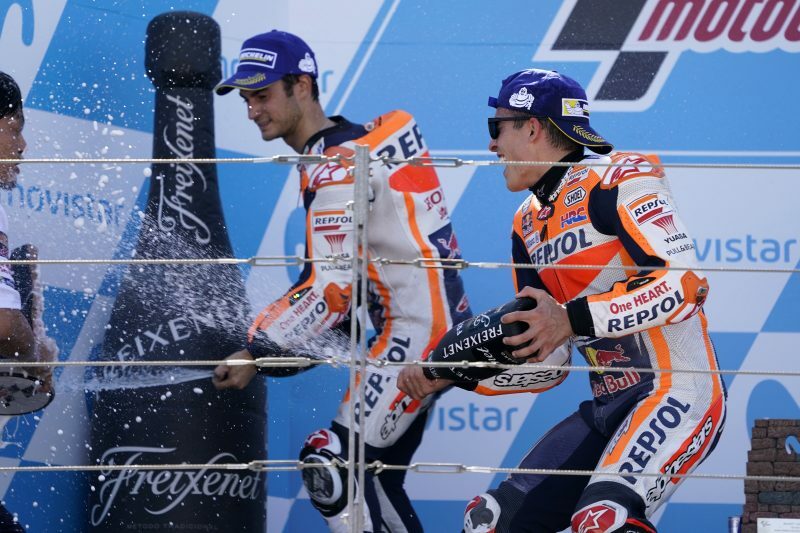 The 24-year-old Spaniard, who has won three of the past four MotoGP crowns, had to work particularly hard for this victory, battling some grip issues and coming through from fourth place at the end of the fifth lap to overtake title-rival Andrea Dovizioso (Ducati), Valentino Rossi (Yamaha) and Jorge Lorenzo (Ducati), who led the first 15 laps of the 23-lap race. Marquez’s speed through Aragon’s final double-left was astonishing and he used this advantage to get the better of several riders, including Lorenzo on lap 16. 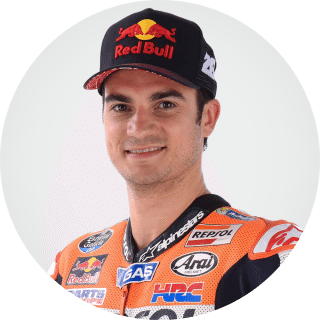 However, he could not relax in the last few laps, as a revitalised Pedrosa also got the better of Lorenzo and looked like he might threaten the leader. At the finish the team-mates were 0.879 seconds apart. Pedrosa, like Marquez, had chosen a medium-compound rear slick, but took some laps before he felt fully comfortable; then he got stuck behind Maverick Vinales (Yamaha) for several laps. Once clear of the second group the 31-year-old made startling forward progress to close on Rossi and Lorenzo and pass them both. This was the former 125cc and 250cc World Champion’s eighth podium of the year and the 152nd of his career, across all three categories. 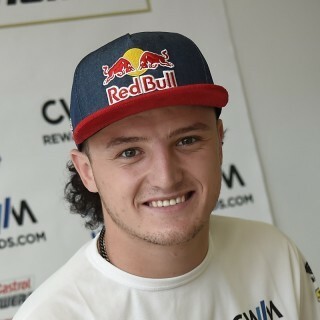 Team-mates Jack Miller (Estrella Galicia 0,0 Marc VDS Honda RC213V) and team-mate Tito Rabat (Estrella Galicia 0,0 Marc VDS Honda RC213V) both had good rides to take home World Championship points, Miller in 13th and Rabat in 15th. This was a milestone race for Miller – his 100th GP start – six years after he made his debut in the German Grand Prix, riding a Honda RS125. 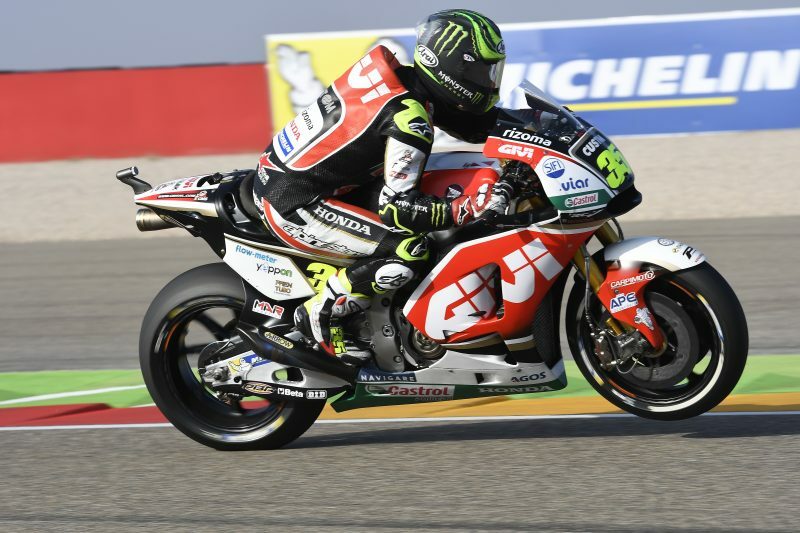 Cal Crutchlow (LCR Honda RC213V) had high hopes of a very strong result after qualifying fourth. The Briton was in the thick of the battle in the second group until he ran wide and later tumbled out of the race without injury. 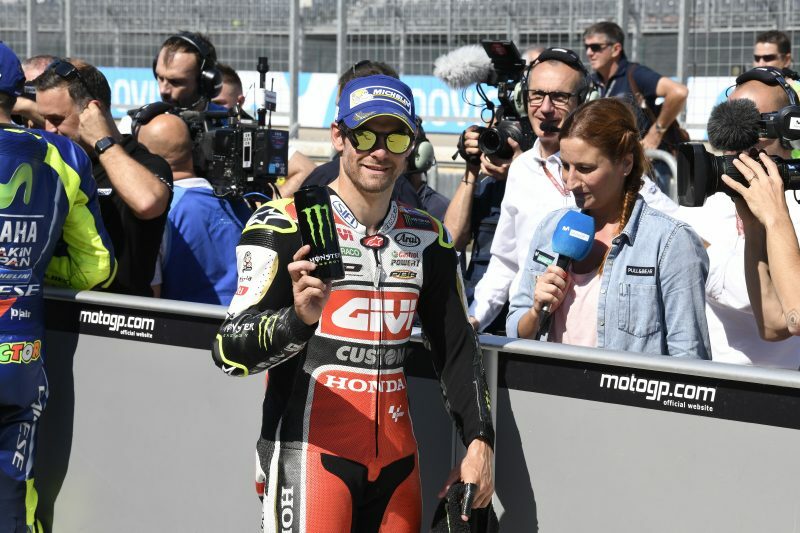 The MotoGP paddock leaves Europe for several weeks, heading east for next month’s Japanese, Australian and Malaysian GPs, before returning to Spain for November’s season finale at Valencia.